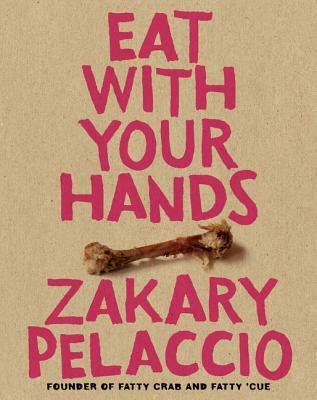 Iconoclast chef Zak Pelaccio has been hailed as a “mini Mario” (Batali) and “the next Jean-Georges” (Vongerichten). The ingenious culinary innovator behind the acclaimed Fatty Crab and Fatty ’Cue restaurants, Palaccio entreats food-lovers to Eat With Your Hands with this groundbreaking and gorgeous cookbook of Southeast-Asian inspired, French-Italian inflected cuisine. A gastronome’s delight, Eat With Your Hands celebrates the unique joys of getting your hands greasy in—and out—of the kitchen with more than 125 unique, extraordinarily savory recipes aimed at both the professional and the home cook alike. This is haute cuisine with a punk rock flair, presented with a refreshing irreverence that would do Anthony Bourdain proud. Zakary Pelaccio is an owner and founder of the restaurants Fatty Crab and Fatty 'Cue, an award winning chef, a father, a part-time writer, amateur gardener, occasional teacher, and devout student of flavor. He lives in Brooklyn, New York.